How long has it been since you last mailed a letter? This sardines evokes the nostalgia of a gesture that is lost nowadays, and emphasizes the importance of perpetuating our traditions. 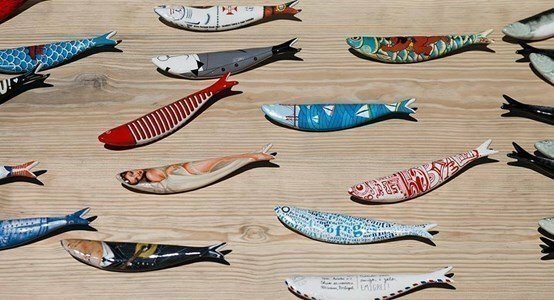 Create, build, innovate, and decorate... with the Bordallo Pinheiro sardines, you are the "fisherman"!